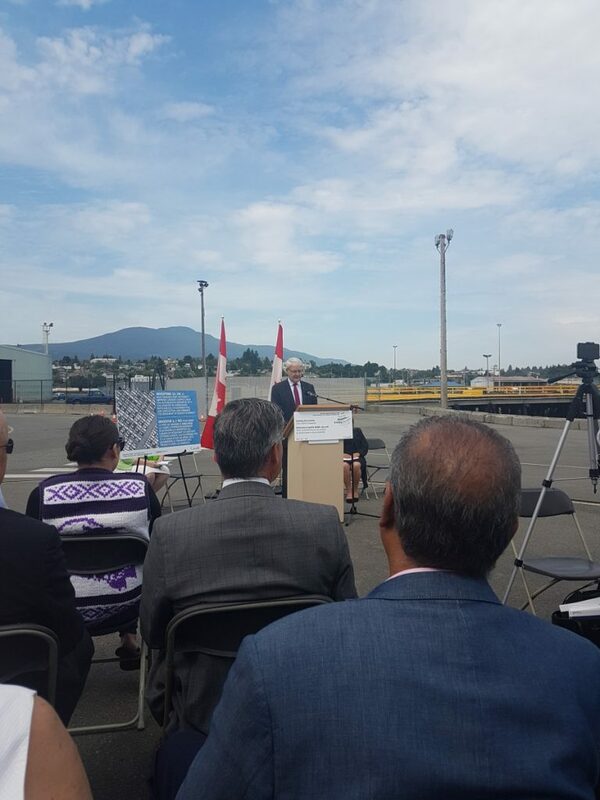 Today, the Honourable Marc Garneau, Minister of Transport, announced a major investment of more than $6.3 million for a project at the Nanaimo Port Authority that will help local businesses compete by moving goods to market and by making improvements to port infrastructure. The Nanaimo Port Authority will design, build, finance and operate a 60,000 square-foot Vehicle Processing Centre and supporting infrastructure to repurpose its existing Nanaimo Assembly Wharf as a multi-purpose general cargo terminal with an initial focus on automobiles. The project will improve Canada’s supply chain for automobiles imported into the country by addressing the significant existing transportation bottlenecks, vulnerabilities and congestion while also providing sustainable economic development opportunities for Nanaimo and Vancouver Island. The project is expected to have significant economic and employment benefits by creating an estimated 200 jobs during construction and an additional 100 jobs after the construction is complete and the processing Centre is fully functional.